Our Teachers - We have expert qualified teachers in 4 different languages. Flexible Program - Corporate and hospitality classes can be conducted in the work place. Student Revisits - Our student return rate is over 50% and growing each year. 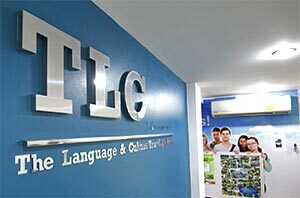 We warmly invite you to learn Thai or English at TLC – The Thai Language and Culture Centre. We are licensed by the Ministry of Education and our curriculums have been approved by them as suitable for fast assimilation of a new language. We were established in 2008 and have served over a thousand students since then. Many of our students return year after year – they are our best recommendation. And unlike many language schools in Thailand, most of our teachers have been with us from the start. They have forged strong relationships with the students who even when they return to their homeland, keep in regular contact through social media. And they always recommend our teachers to their friends. Our class rooms offer congenial surroundings where students feel at home and relaxed – and in the mood for learning. In addition we regularly offer culture trips whereby students can use the language they have learned in real time situations. We visit tourist destinations and engage in practical activities involving Thai cuisine, Muay Thai boxing, visits to temples or handicraft making. Stay in Thailand long term without border runs. 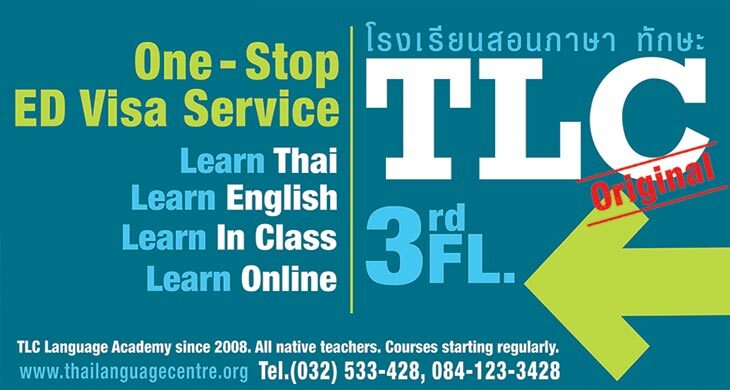 Learn Thai or brush up your English. Or take a Thai culture class in Muay boxing or Thai cooking. Three native English teachers to choose from. Five levels from beginner through to advanced. Specialist classes in IELTS, TOEFL and public speaking. Native Thai teachers with strong English speaking capabilities. 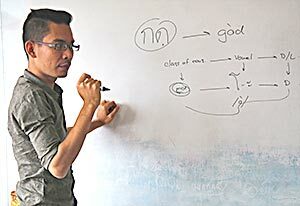 Learn to speak, read and write in fluent Thai. Each discipline has seven easy steps. One-on-one or two-on-one personal tuition for fastest results. Minimum course length 10 hours. 20 hours or more attract a discount. Learn your choice of language or take private tuition in IELTS, TOEFL or your own personal requirement.